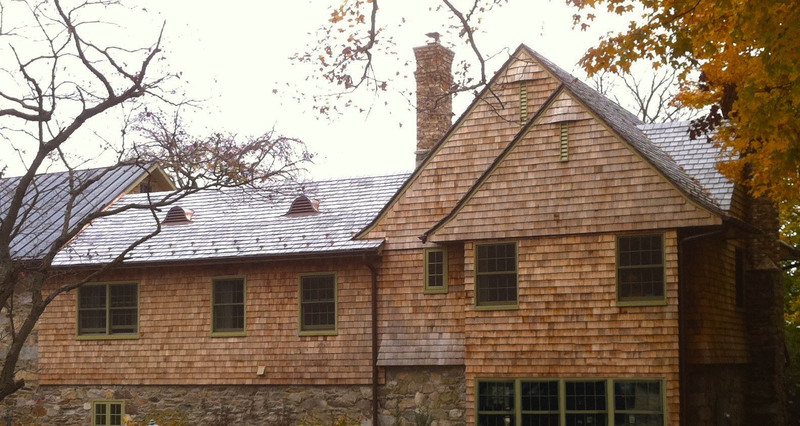 This new construction was a 2000 square foot pool house, built in a traditional manner. A very interesting and challenging part of the work was putting the air conditioning ducts in the slab at the lower level, in addition to the radiant heat pipes. Along with electrical, there are a lot of mechanical systems in that concrete! The architect, David Ganse, designed the house with the kitchen on the lower level, opening out onto a pool deck. He used traditional specifications, such as a sand layer under the concrete slab, a lot of steel structural beams, and curved vaulted ceilings on the upper level. 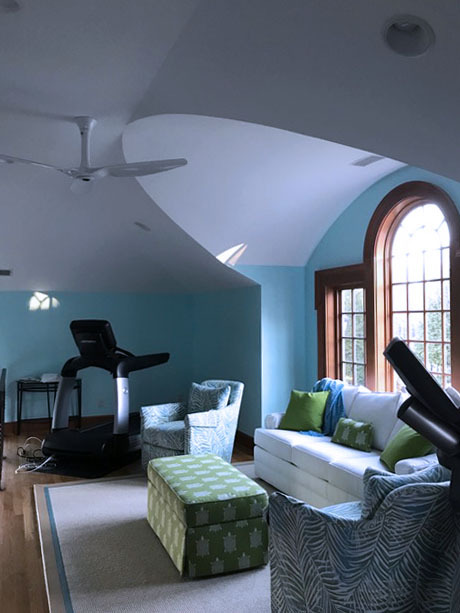 This new construction was all second story, built on an existing stone garage, with the other end adjoining a 200 year old barn that was previously converted into a house. Multiple floor levels made the execution sensitive. The architect, Rob Hale, designed the house inspired by the English architect Edwin Lutyens. This sunroom is a beautiful, bright space. 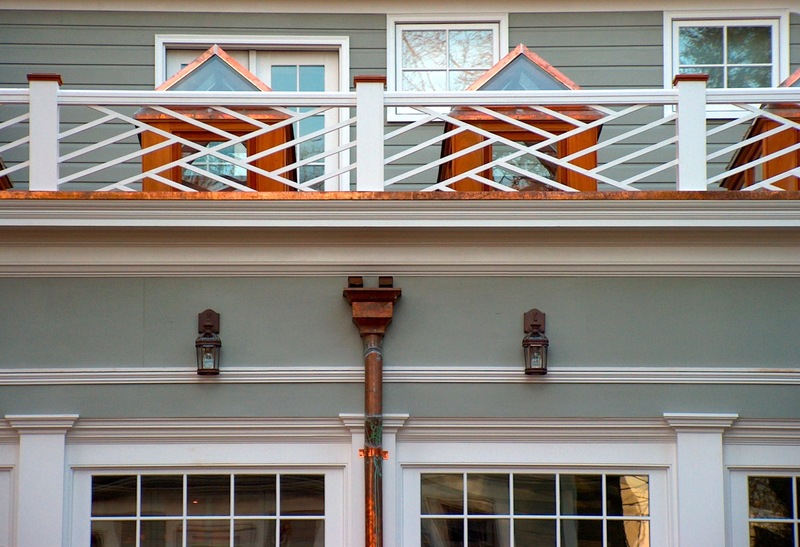 The challenge thrown at us on this project was building elevated custom skylights on the upper level of mahogany, copper and glass, on a flat deck. 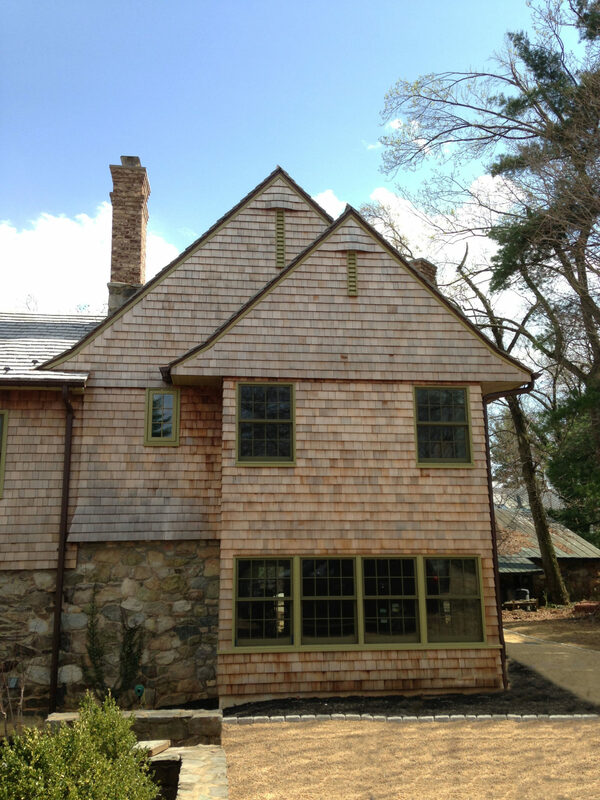 The roof was flat seamed copper, and we laid mahogany deck boards on top. 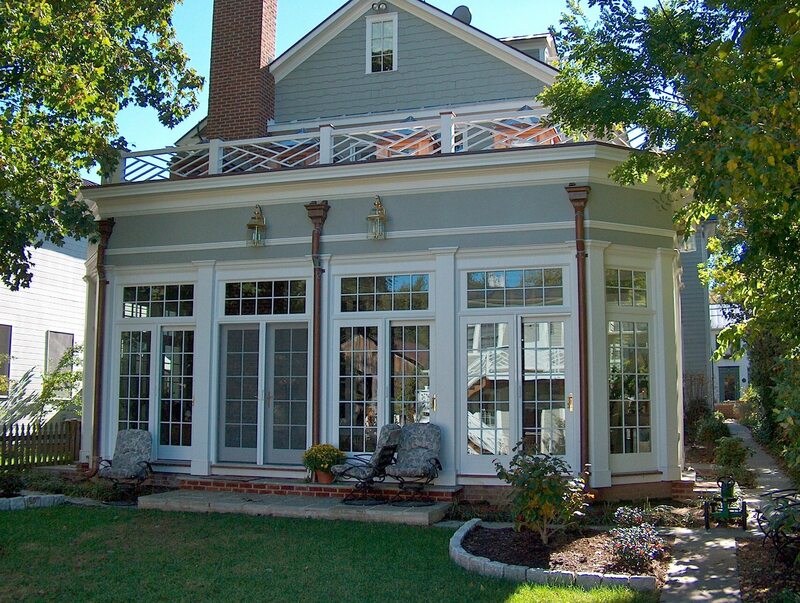 We built this addition on the second floor level of a Victorian house. 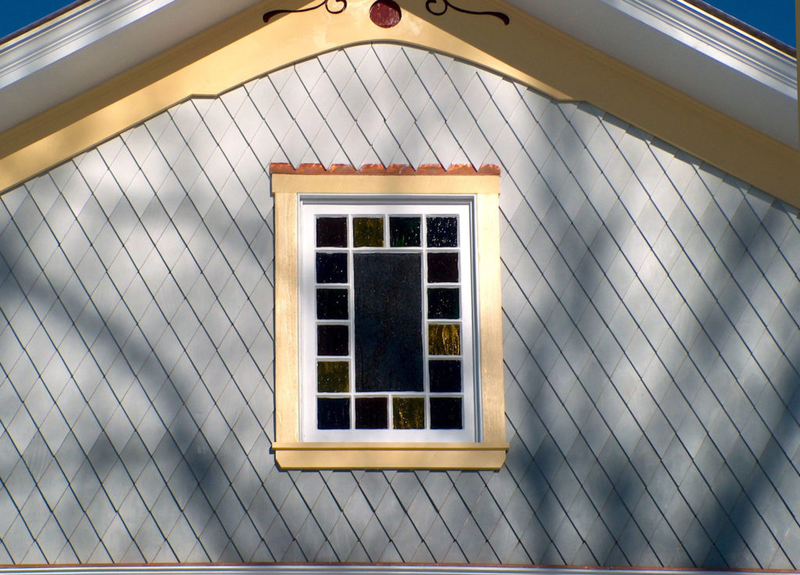 The quality and detail of the old house were very high. 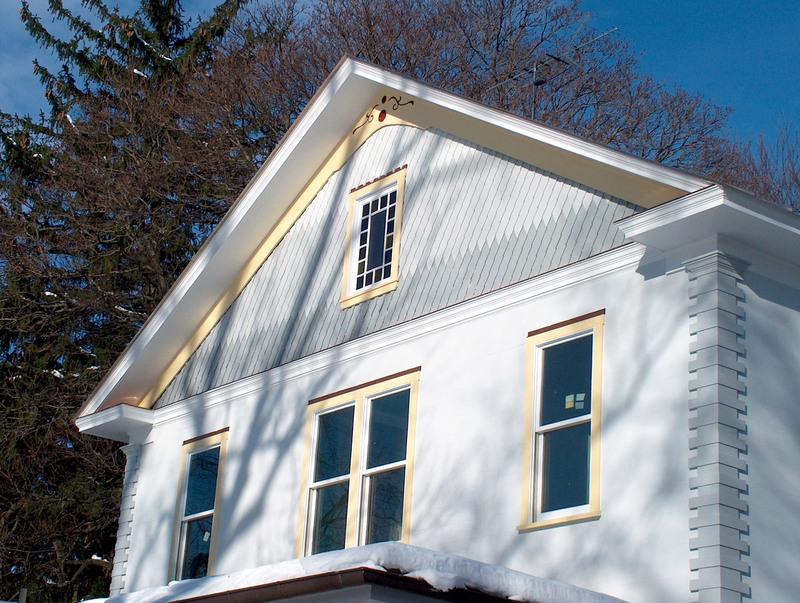 We matched the same the tongue and groove siding, as well as the wood quoins from the original Victorian house.